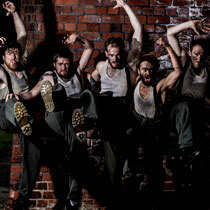 The music for the show is based on work originally composed for the Carlton Main Frickley Colliery Band. The current Scottish, Scottish Open and Grand Shield champion was formed in the heart of West Lothian in 1870 and originally served as an outlet for members of the mining community to perform at local parades. Its first major contesting impact came in 1954 when it became the first Scottish band to secure a National title by winning the 3rd section in London. Progression to the Championship section followed and in 1968 Whitburn won its first Scottish Championship. Following the appointment of Major Peter Parkes in 1978, Whitburn dominated the Scottish brass band scene and became a regular prizewinner in the major contests in England. It made regular broadcasts and performed in many of the finest concert halls in Europe, and – in 1990 – was runner-up at the European Championships. One of the greatest honours in Whitburn’s history was bestowed on the band in 2002 when it was invited to perform in London as part of Her Majesty the Queen’s Golden Jubilee celebrations. 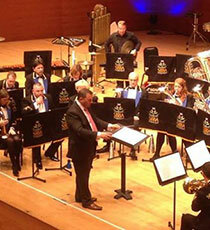 Whitburn Band has been the Champion Band of Scotland on 19 occasions. Today, the band continues to make a significant contribution to cultural life in Scotland, performing regularly at major events such as Scotland’s international rugby games to a television audience of millions. The South Elmsall Village Brass Band can be traced back to humble beginnings in 1884 and in 1905 was adopted by the local Frickley Colliery. During the Band’s long and successful history, it has both competed and triumphed at many of the most prestigious competitions in the world. The band’s most recent achievements include being crowned Yorkshire Champions in 2013 and 2015. This partnered with 3rd place at the prestigious British Open Brass Band Championships in 2011 and being crowned the Champion Band of England and Scotland at the National Championships of Great Britain in 2013. With regular appearances on the BBC’s flagship programme Songs of Praise, the band is currently experiencing one of the most successful periods in their history. 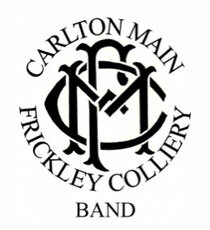 This has led to Carlton Main Frickley Colliery Band being firmly established as one of the top 10 ranked Brass Bands in the world. The City of Birmingham Brass Band started life during the Second World War, as the Fisher and Ludlow Works Band. Just like the colliery bands in the North of England, it was created by and for the workers as a means of light relief, education and entertainment (and as a way to keep the men out of the pub!). In 1976, the band adopted its present title, following formal recognition by the City Council of its major contribution to civic life. The City of Birmingham Brass Band is an amateur organisation made up of hard working locals of all ages who come together to learn, make music and have fun. A few are professional musicians, but the majority hale from different walks of life: students, teachers, nurses, engineers, accountants etc. Members are lucky to have many opportunities to share their music with audiences around the Midlands. 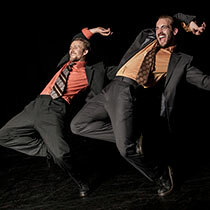 In concert halls and theatres, in parks and on bandstands, even in supermarkets and on canals. With a broad repertoire that ranges from traditional brass and classical pieces, to film tunes and pop music, there is always something different and exciting to listen and learn. North London Brass are the Capital’s traditional brass band Network, comprising of around 100 players and based across four London Boroughs: Enfield, Haringey, Wandsworth and the City of London. 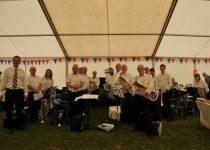 They are a community brass band operating across the Greater London area involving people from all walks of life, all parts of the community, all ages, all backgrounds and all experience. The band was formed in 1877 and is based in the village of Pelton Fell near Chester-Le-Street. Over the years the band has had a number of names, however since 2008 has been sponsored by National Association of Schoolmasters Union of Women Teachers (NASUWT). As a result of this new sponsorship the Band is now proudly called the NASUWT Riverside Band. Over the last 4 years, the band has been a principal performer at the Durham International Brass Festival including playing a key role in the Miners Hymns performances in Durham Cathedral 2010 and again in 2014 in the Sage Gateshead and London Barbican. Also in 2014 the band were the first band to perform with British Sea Power – an Indie rock band based in Brighton – and performances were held in the Gala Theatre and the Sage Gateshead. The band has proudly played in the National Brass Band Championships at Royal Albert Hall 3 times in the last 6 years. 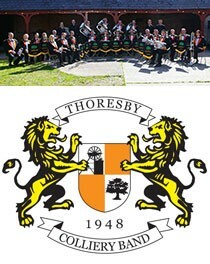 Thoresby Colliery Band is a Championship Section brass band based in North Nottinghamshire and is extremely proud of its local heritage and links with both the County and the local community. For many years the band was based in Edwinstowe and has a long-standing association with the Colliery, which has been open since the 1920s. The Colliery is set to close in 2015 but the band will continue to proudly bear the name Thoresby Colliery as part of its heritage. In 2013 the band moved to its new home at Hardwick Village, in the heart of Clumber Park, Worksop. 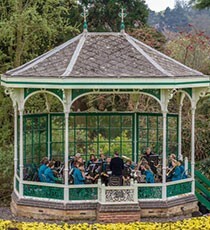 Supported by the National Trust and local residents, the band quickly settled into its new home and can be regularly heard performing in and around the beautiful surroundings. 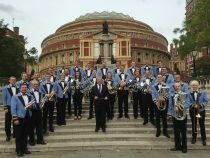 Thoresby Colliery Band has represented the Midland Region at the National Brass Band Championships of Great Britain at the Royal Albert Hall on a number of occasions, the last time being in 2011. By working with some of the most talented musicians in the area, the band is able to maintain its reputation for high-standard performances both in concert and competition. 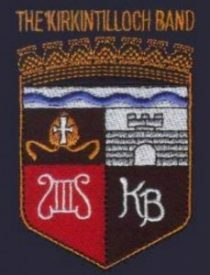 The Kirkintilloch Band was formed in 1890 with funds provided by public subscription and is still a self supporting organisation. In 2001 they won the Grand Shield Contest in Blackpool conducted by Alan Ramsay, which qualified them to take part in the British Open Championships for the first time in their history. In September 2004 Steve Bastable conducted the band at the British Open Championship when they were placed 4th; this was undoubtedly the bands best result since its formation in 1890. In 2007 under the leadership of Nigel Boddice they once again became Scottish Champions. 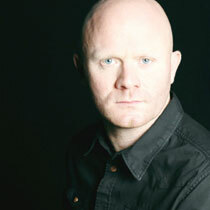 In the 2008 Championships Selmer Simonsen was engaged to conduct the band and they were 2nd and again runner-up in 2009. In the 2008 British Open the band were placed 5th conducted by Selmer Simonsen. In 2013 they again had a very successful year with 2nd place at the Scottish Championships and the Grand Shield in Blackpool with Conductor Phillip McCann. Following that they represented Scotland at the British Open and The National Championships in London’s Royal Albert Hall. In addition to having a first class and formidable reputation for highly entertaining concerts of wide public appeal, the Brighouse and Rastrick Band has many other notable triumphs to its credit in the highly competitive contesting field. Their record of major championship victories since they first came to national prominence during the 1920s is certainly impressive. In 1998 the band held concurrently the English Masters, British National, and European Championships, a unique ‘Triple Championship’, still not equalled! Amongst the general public Brighouse and Rastrick is perhaps most popularly known for its famous 1977 hit parade success ‘The Floral Dance’ for which it won both Silver and Gold Discs for massive record sales and tremendous national and international acclaim. In 2010 and 2011 the Band won the highly competitive Yorkshire Area Championship before being crowned ‘Champion Band of Great Britain’ at the Royal Albert Hall in the same two years. So successful was 2011 that Brighouse and Rastrick were voted ‘Band of the Year’ and Professional Conductor David King, ‘Conductor of the Year’, by the readers of the 4BarsRest brass band website. Today, the band continues to make its mark on the new century, whilst maintaining their great traditions and continued quest for musical excellence. The musical origins of Tredegar Band can be traced back to 1849, although it wasn’t until 1876 that they became formally constituted. However, over the last 40 years Tredegar has become one of the banding world’s elite performers – as well as multiple major title winners; including the British Open in 2010 and again in 2013. Voted 4Barsrest ‘Band of the Year’, with MD Ian Porthouse ‘Conductor of the Year’, in 2010, they continue to represent the town that bears their name with pride. This was literally so with the 2014 BAFTA Award winning film ‘Pride’, where they provided a major part of the musical score as well as making a cameo appearance. In contrast, last November they became the first band to perform in concert at the world famous Old Vic Theatre in London alongside entertainment stars such as the magician Dynamo and singer songwriter Tim Minchin. 2016 has seen further success – becoming Champion Band of Wales for the eleventh time – a result which will see them represent the nation at the European Championships in Ostend in 2017, whilst also winning the televised Band Cymru title. Founded in 1937 by a group of employees at the Fairey Aviation Works in Stockport, the Band achieved many musical successes under the direction of the late, great Harry Mortimer, their Musical Director for over thirty years. Since those early days the Band can boast an unrivalled set of results at the British Open being crowned Champions 16 times, more than any other band during this period. In addition the Band has been National Champions of Great Britain on 9 occasions and had victories at the European Championships, the All England Masters and the English Nationals. Winners of the BBC ‘Best of Brass’ and Granada ‘Band of the Year’ titles add further touches of distinction to this famous Band. With a group of talented and experienced soloists the Fairey Band is able to deliver an entertaining programme of contrasting musical genres to suit a wide ranging audience. Derwent Brass has proven to be a major success story in the Midland’s proud heritage of brass banding. Formed in 1992 with the aim of producing a quality brass band in Derby, Derwent Brass quickly established itself as a most popular concert attraction. 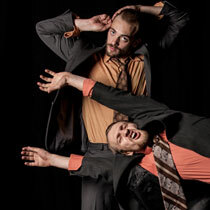 With wide reaching repertoire and innovative programming this has been sustained to this day and the band is constantly in demand across the region, in the UK and occasionally venturing abroad. The band was originally formed as a 3rd section band and under the sole leadership of musical director Keith Leonard quickly climbed to the Championship Section where they are now firmly established. Along the journey the band held the number one position in both 3rd and 2nd section league tables consecutively and have totalled six appearances at the National Final Championships. The band and its soloists continue to decorate the band room with silverware from nationwide contests including the Midland Regional Championships, National Finals Championships, Bolsover Festival of Brass, Leicester BBA, Wychavon, Buxton, ODBBA, NEMBBA, GBBA and more. In its time the band has performed at over 750 events and has shared the stage with over 50 artists and groups. Recently the band were involved in the behind the scenes preparations of the British Sea Power ‘Sea of Brass’ tour and performed with them at the Derby Theatre concert in 2015. The band has performed at the venue on several occasions since, most notably in every one of the 27 shows in the theatre’s award winning production of Brassed Off. 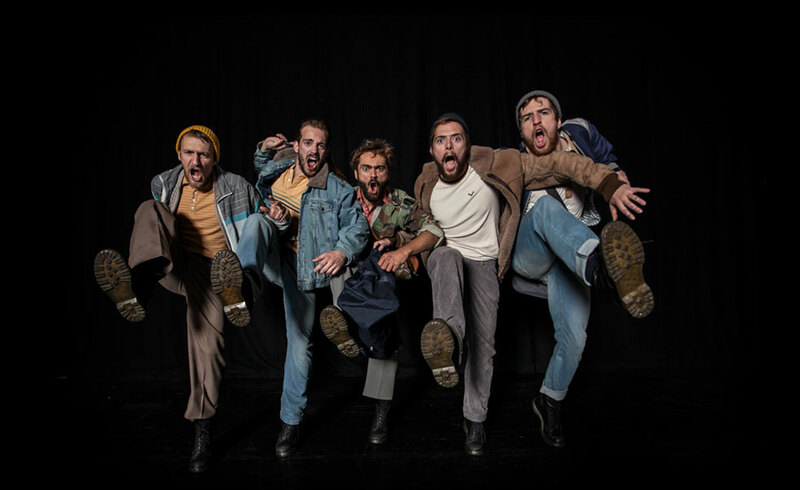 Derwent Brass are delighted to be returning to Derby Theatre again in 2017 to perform in COAL. The town of Filton is home to Filton Concert Brass. The band was formed 40 years ago and is currently Bristol’s highest ranked brass band, having been promoted to the Championship Section of the West of England Region from 2015. The band meets regularly on Wednesday nights as a smaller brass ensemble, where it performs at concerts and functions in the local community, but also comes together as a larger contesting band for specific projects. This has led to the band being crowned West of England Champions and National Runner-Up (second section) in 2010, Wychavon Festival of Brass Champions (first section) in 2012, West of England Champions (first section) 2013 and National Champion of Great Britain (first section) 2014. Since being in the Championship Section the band has enjoyed some impressive results finishing 3rd at the West of England Regional Contest and 2nd two years in a row at the Wychavon Festival of Brass. In addition to this the band were the Welsh Open and British Open Senior Trophy Champions in 2016. The band dedicates it’s work to Jim Scott, their founder and a champion of brass performance and education in the Bristol area, who sadly passed away in 2014. Hatfield Band were formed in September 1947 by two miners of Hatfield Colliery, Jim Rigby and John George Hedley, known as Geordie, who was the father of current Hatfield Band stalwart and Horn player, Margaret Curran. Hatfield Band have been the premier brass band within the Doncaster area of South Yorkshire for many a year, and maintained a high level of ranking in the brass band leagues fluctuating between first and Championship sections which obviously continues to this day. Over the years, the band have been lead by many fine conductors including Ken Johnson and Graham O’Connor who’s untimely passing impacted greatly on the band. However the band is resurgent under the influential and charismatic leadership of the ex Grimethorpe Band Flugel player, Mr. Stan Lippeat who has around him a fine core of good players and support workers. The band is now once again poised on the threshold of a fine moment in its history, with the participation in the arena of the premiership of brass bands leagues, the Championship section which in Yorkshire will pit them against local rivals, Grimethorpe, Carlton Main, Black Dyke, Brighouse, Rothwell, which logically is no small tasks, but one the band relish.